Family: Husband Daniel, Son Ryan, and Daughter Emily. Education: BA University of Michigan 1990, DDS University of Michigan 1996. Awards and Achievements: Member of the American Dental Association, Michigan Dental Association and Oakland County. Member of the Detroit Dental Clinic Club and Pierre Fauchard Society. Past President of the Detroit Dental Clinic Club and past membership chairman of Pierre Fauchard Michigan Section. 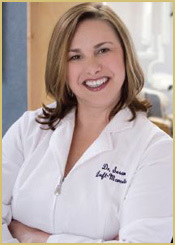 Recipient of the Pierre Fauchard Student Award 1996 and past lecturer for the Detroit District Dental Society. Regularly featured dentist on WDIV Local 4. Recognized as an Hour Detroit Top Doc since 2008.